Over a period of eleven years of blogging on WordPress, I have tried and tested many WordPress plugins. Every now and then I need to remove the outdated plugin and pick something which offers a better feature and let my blog grow. I understand that searching for right plugins could be a daunting task and this is why I keep sharing about using WordPress plugins here at ShoutMeLoud. Based on my research and experience, I have created a secret list of plugins which I use on all my blogs. However, today post is an exclusive post which is part of our transparency culture. I love to share how we do things, what tools we use and other important stuff which will help you to grow your blog just like ShoutMeLoud. Today, I’m sharing the list of must-have WordPress plugins we are currently using at ShoutMeLoud. Do remember, these plugins are the outcome of my years of experience with blogging. If you have just started with WordPress, you should first read: How to install WordPress plugins. Do remember, I keep changing our plugins, so I suggest you to bookmark this page and keep checking after a month to see the updated list of plugins. 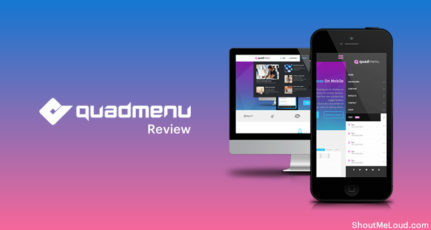 The list is not in any particular order, and at the time of updating (March 2019), these are the must have WordPress plugins which power ShoutMeLoud. Since many of you asked: : Right now ShoutMeloud is currently using Genesis Theme + Custom skin design and hosted on Kinsta hosting. Advanced database cleaner: I use to reduce the size of my database. A free alternative is WP Sweep which doesn’t offer advanced feature but it’s alright for new blogs. For a serious blog, Advanced database cleaner is recommended. AMP for WP: I use the free version of AMP for WP plugin. Clicktotweet: To add a tweetable code within an article. EasyDigitalDownloads: This plugin helps in setting up a digital download store. Email post changes: This sends me a notification when an author or editor make changes. Jetpack by WordPress.com: One of the most popular WordPress plugins offer great features. OptinMonster: To add email subscription box. Pushengage: Push notification for desktop browsers. Peter’s Collaboration E-mails: Sends an email to admin & editor when a contributor submit a post. Redirection: Manages 301 redirections & 404 errors from WordPress dashboard. However, I shifted a lot of redirection now using Yoast SEO premium. Over the time, I will be moving everything to Yoast SEO for redirection. SEO smart link business: Automate the internal linking of post & hence enhances SEO. ShortPixel: Compress images without degrading quality. Helps in faster loading of the articles. Thrive comments: This adds a lot of features to your WordPress comment section. Ultimate Nofollow: Helps in adding nofollow tag from the WordPress post editor section. WP Link Status: The purpose of this plugin is to find broken links. I use it for more than this. WP Forms: To add contact form & create a variety of forms here at ShoutMeLoud. WP security audit log: Keep an eye on user activities inside the WordPress dashboard. WP Schema Pro: Schema plugin on ShoutMeLoud. This is a free WordPress plugin that is the powerhouse of my blog SEO. It helps to optimize on Site SEO, On page SEO & Social SEO of the blog. This is a must have plugin for every blog, and I have written a guide over here to learn about the configuration of this plugin. Yoast SEO comes in two versions: Free and paid. In the pro version there are few extra features like redirection and internal linking. This is why I use Yoast SEO Premium. You can read my take on premium version here. Akismet is a free anti-spam WordPress plugin that I recommend as it is the official plugin from WordPress creator, which lets you fight with spam comments. To use Akismet, you need an API key. You can get one by following this tutorial. One downside of this plugin is that sometimes it skips spam trackback or comments or legit comments land in the spam folder. Though this usually happens due to a previous interaction with an I.P or with an email address but you can always address this problem by checking your spam folder daily. This is also a must have plugin that you should have from day one to stop spam comments on your blog. This WordPress plugin is useful if you do review post. Using this plugin, you can add a star rating to your blog post, and make it stand out in the search engine. It’s a premium plugin that cost only $79, and it’s a good one-time investment. Cloudflare is a free service which offers security & free CDN. What I really like about CloudFlare is, you can block bots and spam traffic at DNS level. This saves a lot of bandwidth and also your server load is not affected due to the bot traffic. If you are using a managed WordPress hosting, shared hosting or any web hosting where your bandwidth is a limit, you should definitely use a service like CloudFlare. This plugin lets you add social sharing & social media follow buttons on the blog. 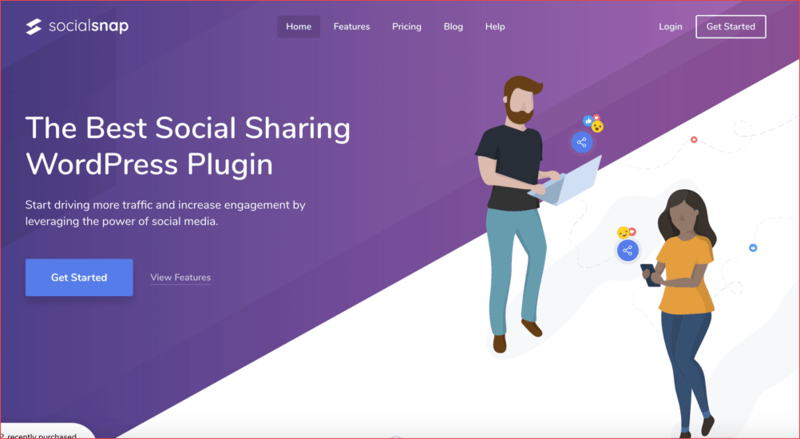 This plugin offers beautiful looking social sharing button at various places such as Floating sharing buttons, after post, fixed bar, and a few other options. If you need one plugin that takes care of your social media sharing needs, this is the best plugin for now. This is a paid plugin and cost about $39 only for a yearly license. The analytics feature is also highly useful and you can get stats right inside your WordPress dashboard. This free plugin lets you add the contact form on your blog, and I like it because it also shows the referral URL of the person who is using my contact form to send a message. This helps me to filter down the real and spam message. If you are using Jetpack plugin, you should rather use contact form feature of that plugin. This is a multi-purpose free WordPress plugin that adds the feature like stats, contact form, mobile theme, social sharing button and many more. This is a power packed WordPress plugin. You need to have a free account on WordPress.com to use this plugin. You can learn more about this plugin over here. This is a WordPress SEO plugin that controls your blog external link. Using this plugin you can Nofollow, remove any existing external link of your blog. It’s a premium plugin and is very powerful and useful for the SEO of your blog. You can read the review and how I use this plugin over here. This useful and free WordPress plugin let me stop sending the trackback to interlinked posts inside my domain. Read: No self-ping WordPress plugin: Stop pinging your Blog post. This is a feature rich plugin. I use it to show email subscription pop up and is highly configurable. Even without any designing skills, I can quickly configure and design an effective pop up for my blog. If you are into email marketing and need an easy to use WordPress plugin, look no further than OptinMonster. This free plugin lets you optimize images for the search engine. It adds alt text based on the name of the image. Highly recommended. Read: How to Alt Tag into Images. This plugin notifies me when any blog post is submitted for review and notifies the user when his blog post is accepted. Later on, we shifted to peter’s collaboration Email plugin that turns out to be more powerful. Ultimate Nofollow to quickly add Nofollow link attribute. I will keep updating the post whenever I add or remove a plugin here at ShoutMeLoud. You can bookmark this page & visit it after a month or so to see the updated list. Do you use any plugins to manage your ads? I’m using WP advanced ads since sep 2017 to manage my ads.